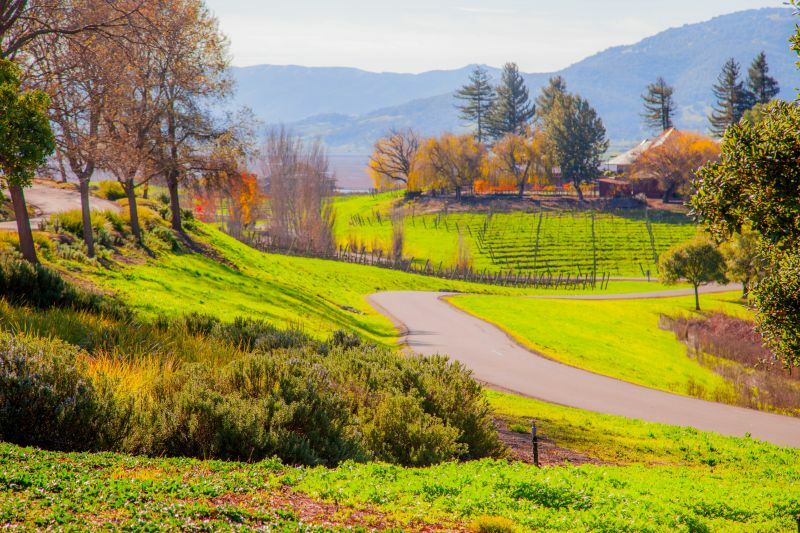 You may think that we spend every weekend wine tasting in Napa Valley. 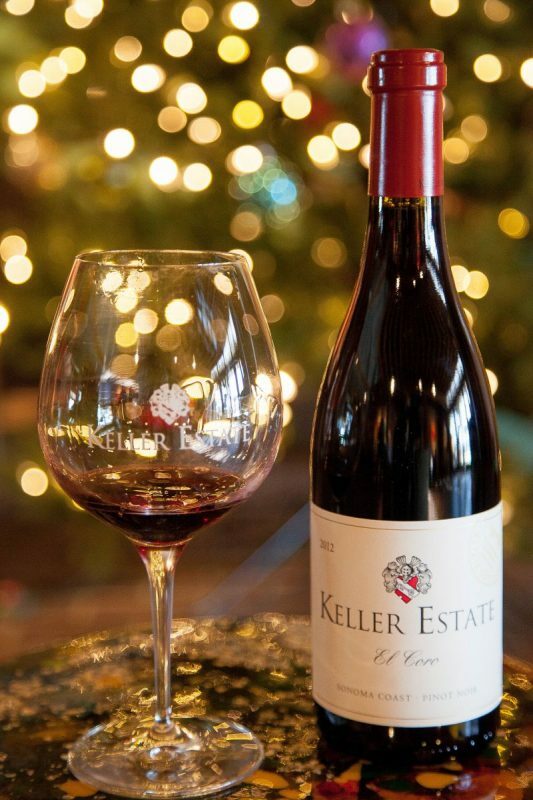 However, that is not the case; this last weekend we went wine tasting at The Keller Estate Winery in Sonoma County. California Girl comments: The Brit is always raring to go at every single chance he gets to go out exploring to find new places to tell you all about. It’s not about the wine, its all about the blog…. Saturday was a beautiful, clear, sunny day; a sharp contrast to the heavy rain that had fallen during the week. The hills were a vibrant green, their colour restored by those aforementioned storms. The Lakeville Highway runs along the base of the hills that separate Napa and Sonoma counties, with the Petaluma Marshes to its West. 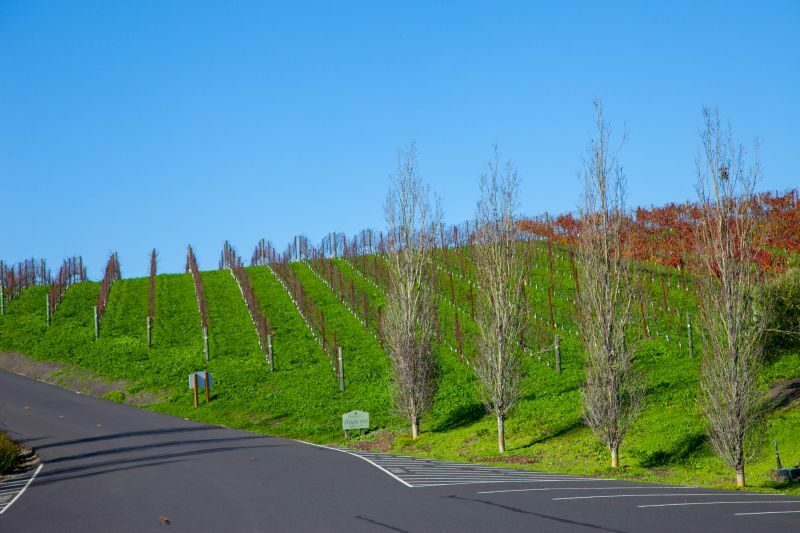 A few miles outside of Petaluma there is a turn that winds up the hillside for half a mile to the Keller Estate Winery. 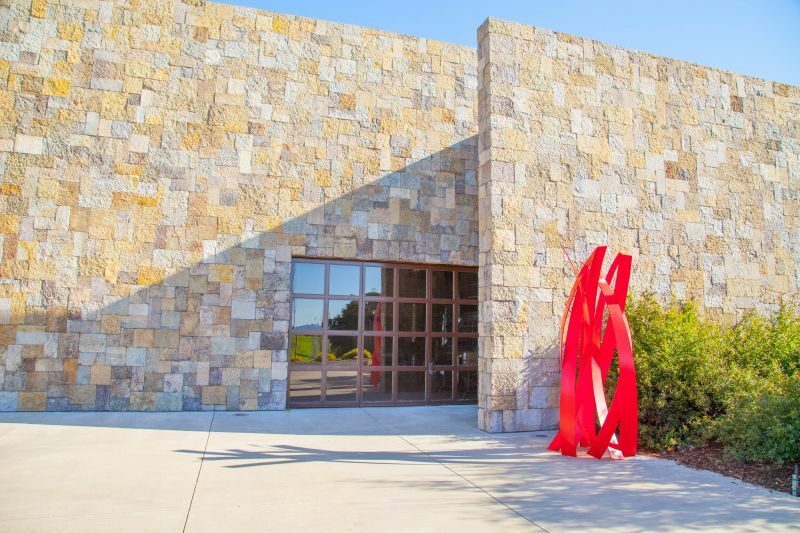 The drive takes you past the winery, a couple more buildings, and then you park on the far-side of the tasting room. California Girl comments: I swear we have passed this place hundreds of times and never knew it was there. 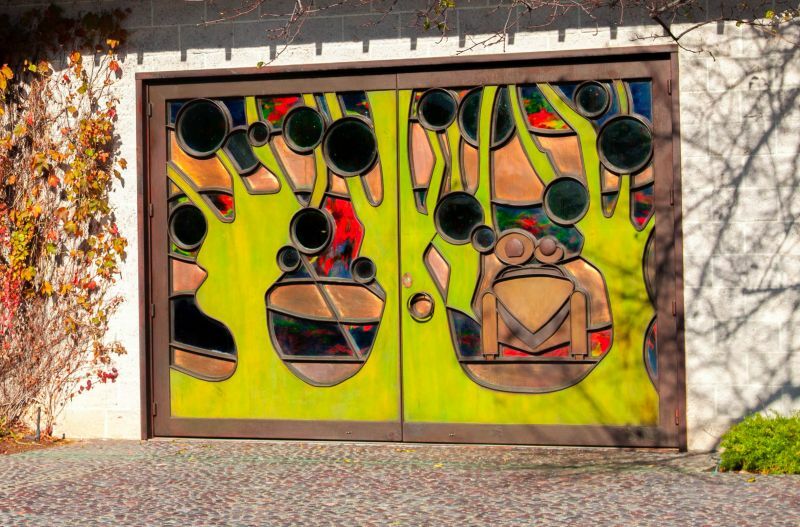 Once you know its there and venture in through the gate; you are taken to a whole other place of beauty, art, amazing scenery, cars and of course wine. 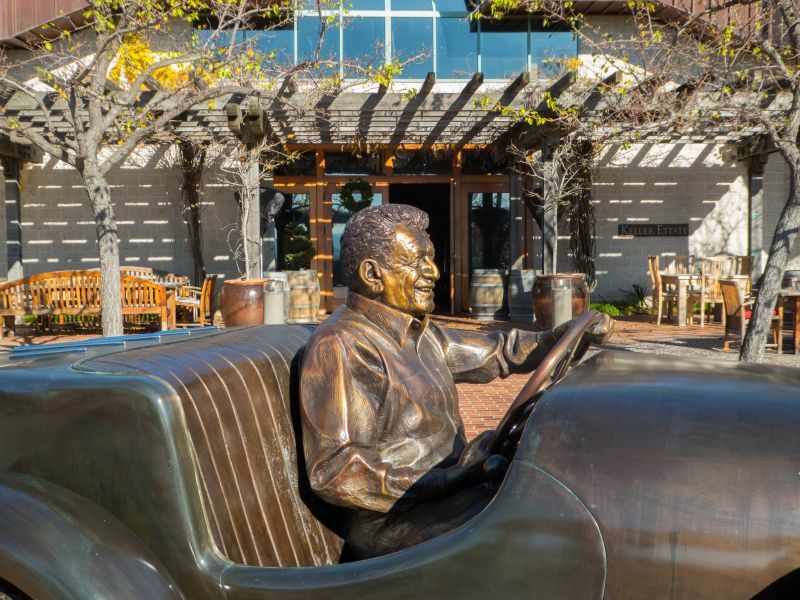 Outside the tasting room is a bronze sculpture of a man in an open top Mercedes Benz. 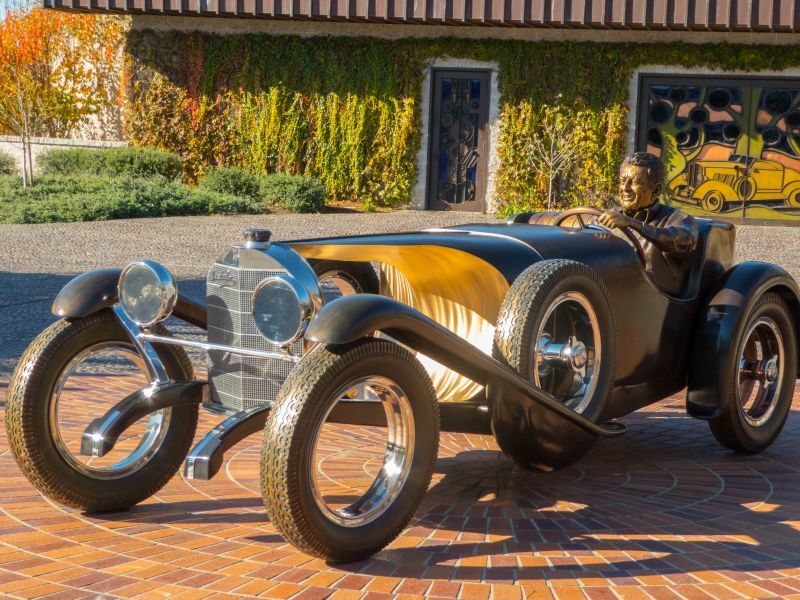 We were to find out during our tasting and tour that the driver of the car was Arturo Keller; the winery’s founder, owner, and namesake. He has a passion for motor-cars and has, apparently, a fine collection; which we did see on our tour. 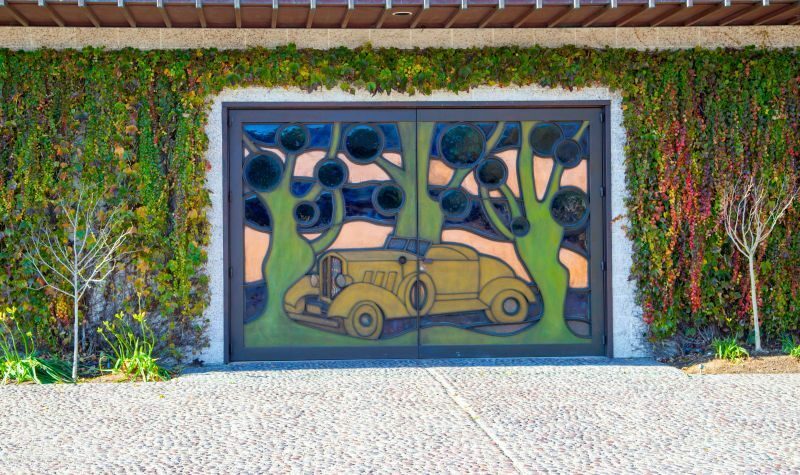 The tasting room building included a series of stained-glass doors which continued the automobile motif. We were told that these had been designed by Grace Keller; a member of the Keller family. California Girl comments: The art is absolutely incredible. The sculptures, the doors, the paintings, even the art glass table made by Grace Keller are all stunning. I love all of the touches, the bright warm colors and the thoughtful placement of each piece, giving it space to be savored and enjoyed there There was seating outside the tasting room, but despite the sunshine it was too cold too sip wine whilst enjoying the view across the vineyards to the distant hills; we decided to taste inside. Our tasting included what was described as a cheese plate. I feel that this was underselling what was presented. In addition to three fine Californian cheeses, there was fruit, prosciutto, and salami. 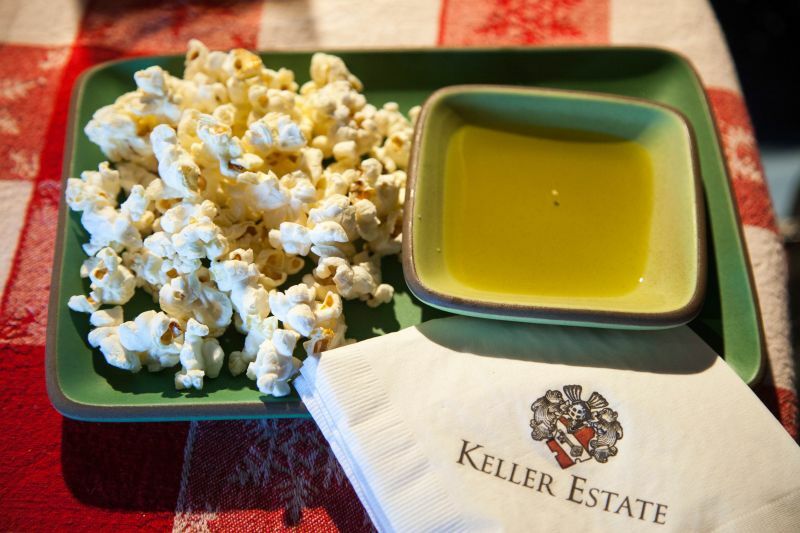 I would strongly recommend adding this plate if you taste at Keller Estate Winery; it costs $25 and was more than sufficient for California Girl and me. The cheeses were: Cowgirl Mt Tam, Toma from Point Reyes, and Humboldt Fog from Cypress Grove. There was a side plate of small slices of a soft-crust French bread. California Girl comments: I couldn’t agree more. 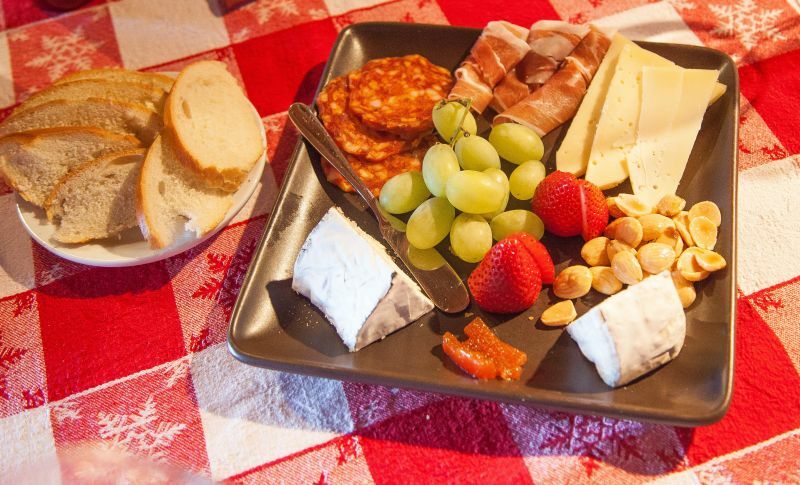 This place is classy all of the way around and the cheese plate just shows the level of detail and care they have put in for their guests to have maximum enjoyment. It was a feast for the eyes and paired beautifully with the wine. 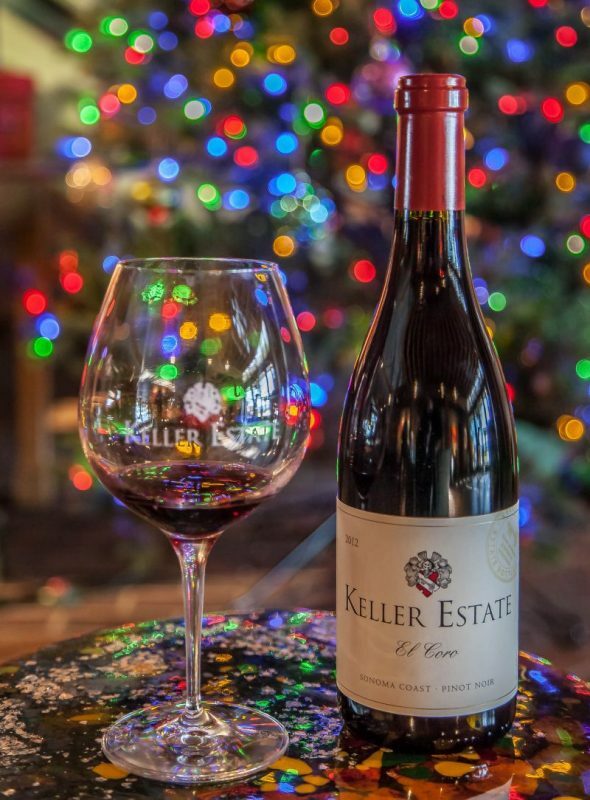 The wine ambassador, Anton, described Keller Estate as being “Too cool for Cabernet Sauvignon”; a comment on the cool climate at the Southern end of Sonoma Valley rather than any implication that the king of Napa grapes is no longer trendy. 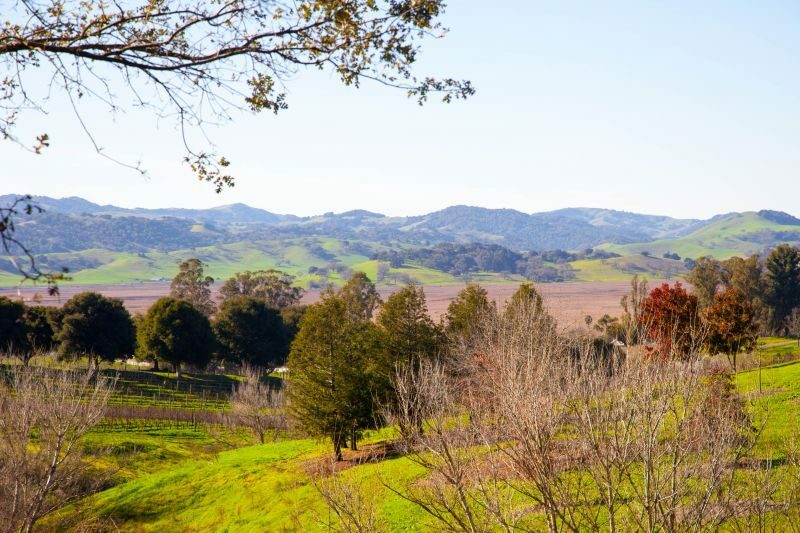 Keller Estate lies in an area that will soon be its own AVA; the Petaluma Gap. 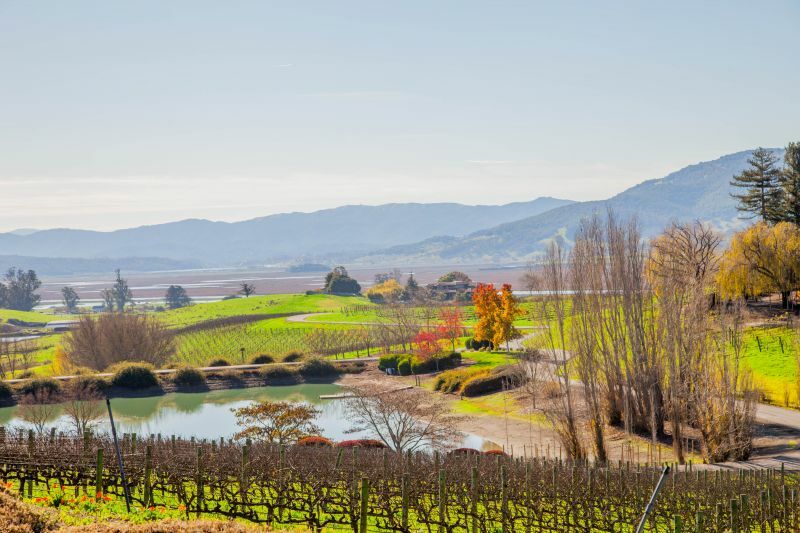 This was described as an area where the eponymous gap in the Western hills exposes the vines to coastal wind and morning fog; ideal for Pinot Noir and Chardonnay. California Girl comments: Anton was so personable and enthusiastic. What a great person with whom to talk about wine. Not only was he warm, but he was really insightful about the wines, the property, and provided us many little details that made our visit extra special. 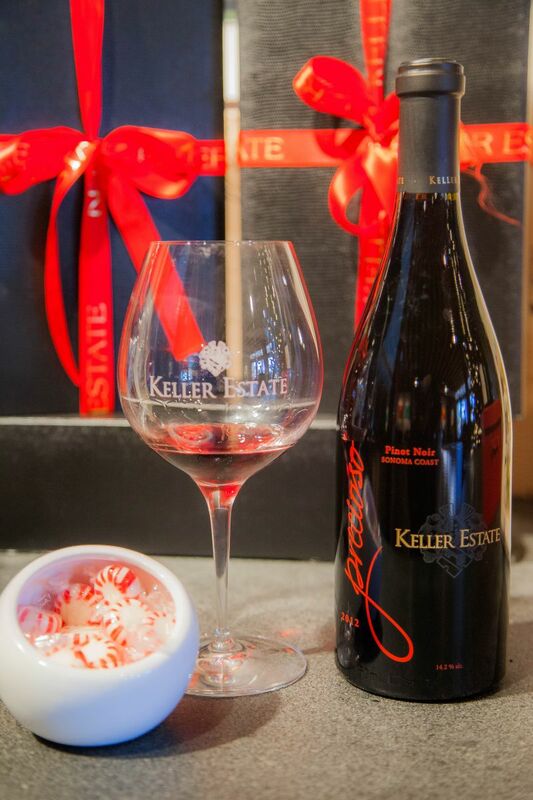 Keller Estate is an eight-hundred acre site, with ninety-two acres planted with vines. 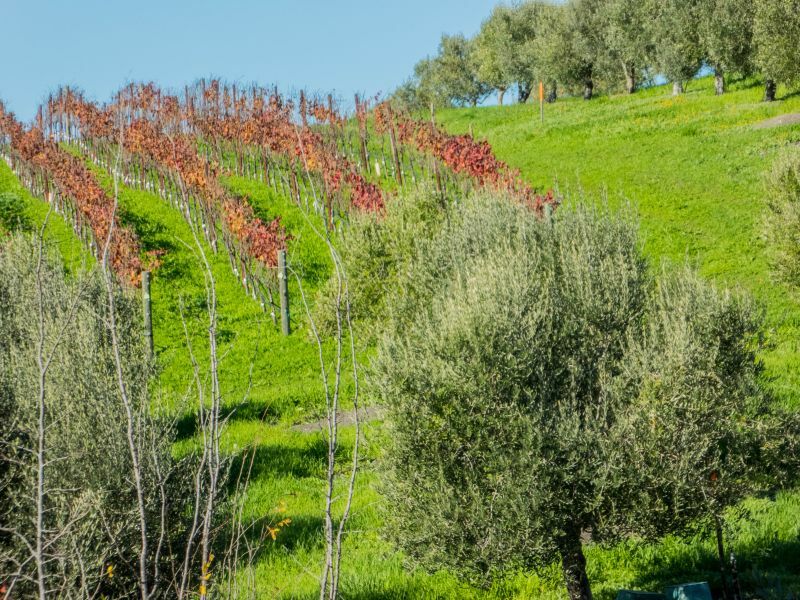 Eighty acres split between Pinot Noir and Chardonnay, with the remainder consisting of Syrah, Pinot Grigio, and Viognier. 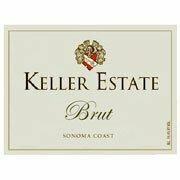 Our wine tasting started with the 2010 Keller Estate Sparkling Brut. This sells for $35. It is 80% Pinot Noir and 20% Chardonnay. It is the only wine that is not made on premises; although as with all of Keller’s wines the grapes are all estate grown. The nose was heavily focused on pear notes The taste was rich in fruit, little yeast, with a background of fine bubbles. This was one of the best California sparkling wines I have tasted. California Girl comments: One sip and I was totally in love with this sparkling wine. I think for the price point it is very hard to beat. Even the bigger names you know have a hard time competing with this little beauty. Simply outstanding in every way. Especially the price for the quality. Next up was the 2013 La Cruz Chardonnay, which retails at $38. The nose was of apples. Taking a sip, I was struck by its low level acidity. The taste was of apple, butter, and quince. It is off-dry. 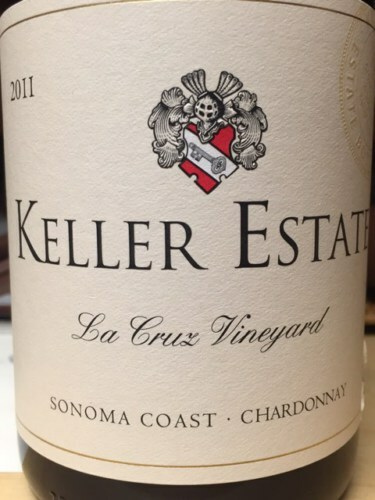 Anton described it as being “European Style”, but although it did not show even hint of over-oaking, I think it was distinctly a new-world Chardonnay; one should not take this as a criticism, as this was a well-balanced and complex wine. California Girl comments: Here I disagree with The Brit. I not only loved this very well balanced wine, but felt it had the European polish and sophistication about it. I do realize that Sancerre isn’t the same grape, but it reminded me of a good Sancerre for all of the richness, creaminess, and fruit notes. After these two white wines, we moved to a side-by-side-by-side tasting of three of their 2012 Pinot Noir; the La Cruz ($45), the El Coro ($52), and the Precioso ($75). The first of these grows in clay soil, the second in volcanic soil, and the third is a blend of the other two wines. The vines growing in the clay need to work less hard for water than those in the volcanic soil; the result is that La Cruz is a fruiter wine than El Coro. 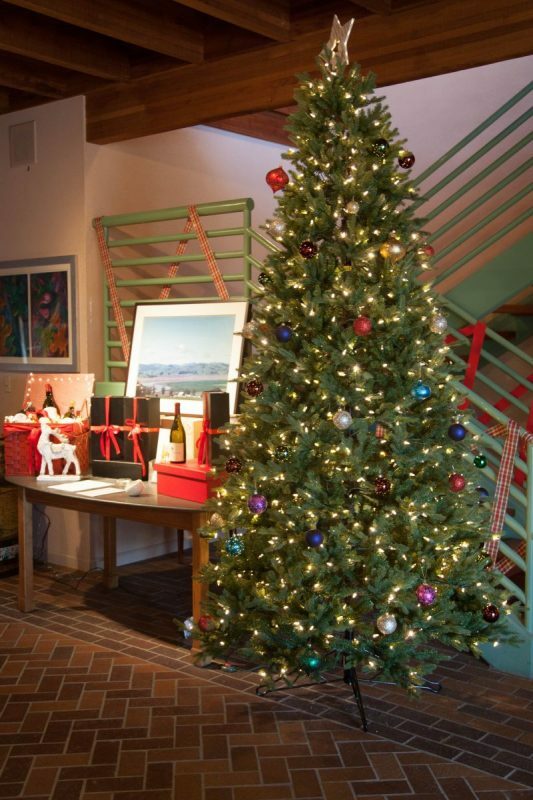 The La Cruz had a rich nose of redcurrant and cinnamon; the fruit was reflected in the luxurious mouth. I found the nose on El Coro to be very muted; the flavour was a soft balance of raspberry and pepper. I preferred the former Pinot. California Girl comments: Again, The Brit and I disagree on which wine was better. I really loved the fruity La Cruz and liked the El Coro. For me, the fruits had a nicer, rounder flavor in the La Cruz. The best of the three Pinot was Preccioso. The nose was classic Pinot Noir mix of raspberry and plum. The distinct acidity gave a backbone to the pepper and raspberry. The fruit and medium tannins were in sweet harmony. providing a long mouth finish that extended the enjoyment of the wine. California Girl comments: The Preccioso was the hands down winner. This is what Pinot Noir for me really is. Truly lovely and complex flavors that pairs easily with food and is one of those wines you can just sit and enjoy. Yummy! The final wine that we tasted was given to us as we toured the winery. This was the 2012 Rôti of Syrah; a co-fermented blend of Syrah and Viognier. This was a soft wine, one that felt closer to European wines that the aforementioned Chardonnay. 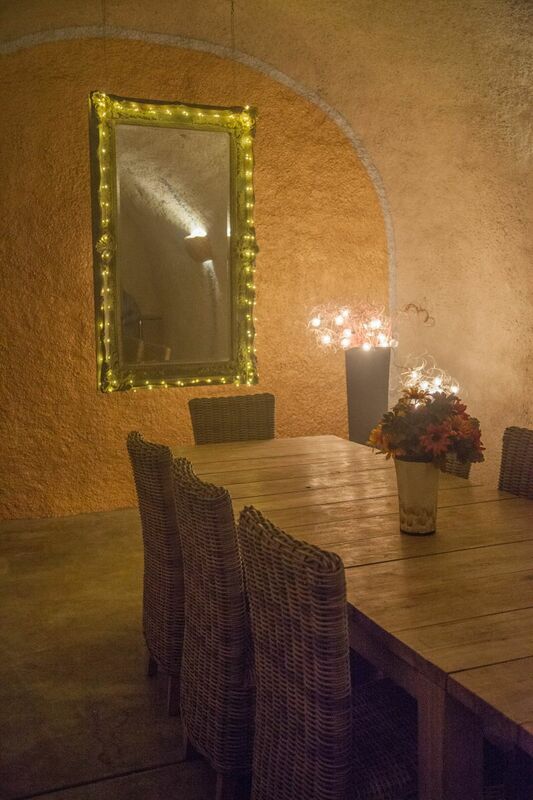 The tour started in the wine caves that have been dug into the hill behind the tasting-room. 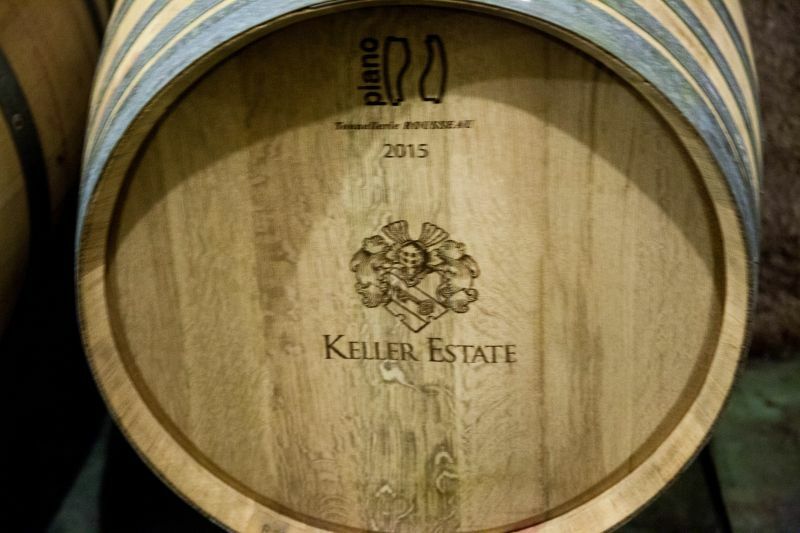 Keller Estates use 100% French Oak barrels and these were lined up along the wall of the cave. Along the walls were misters, which provided a striking fog effect in the tunnels, but are used to keep the space cool and moist. At their deepest the caves are about thirty to thirty-five feet underground. 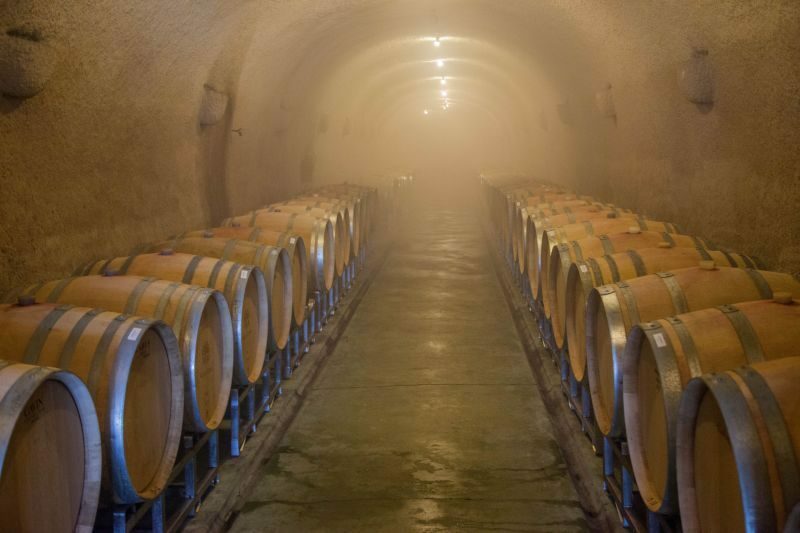 The caves end at the winery, in which wine is fermented and bottled. The building is clad in limestone from the Yangtze River in China. In addition to creating an attractive building, the cladding helps keep the interior cool. 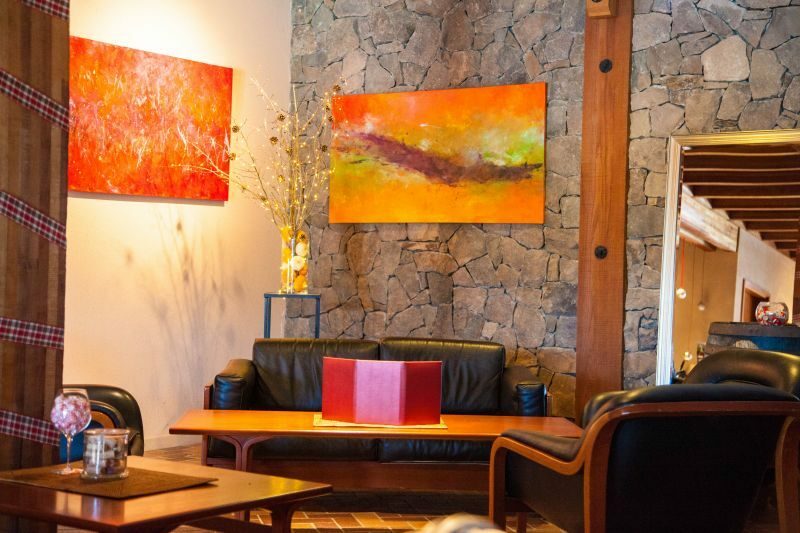 There are several wineries that offer stunning views, several that have stunning architecture, and many with excellent wines. 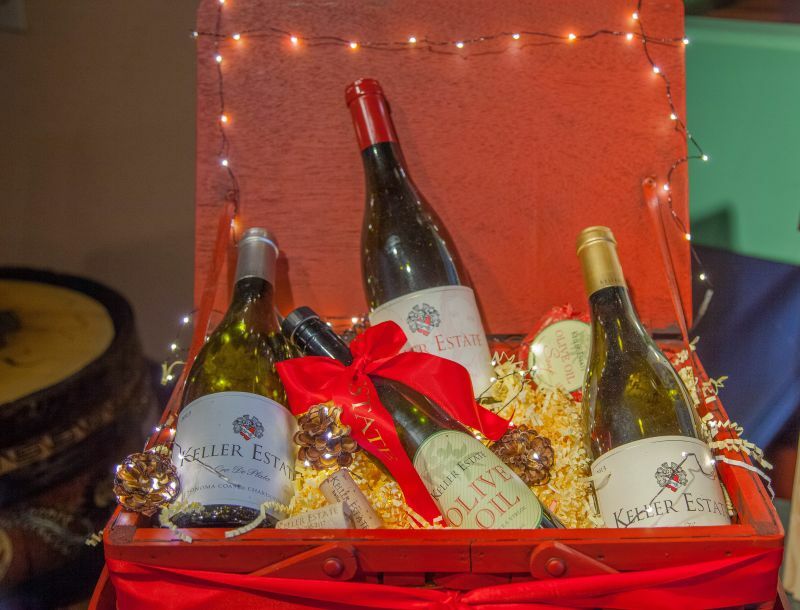 The combination of all three in the same place is rare, which made our experience at Keller Estate remarkable; with the added bonus of informed and informative staff. The basic tasting is $20. The cheese plate costs $25, but as I observed earlier can be shared between two and three people. The full tour is $50. Reservations are required, but it is most definitely worth the effort. We also found that they offer brunch, an option that I am sure we will explore and about which we will write. California Girl comments: This place is a hidden treasure on every level. We both were wowed. If you think about it, that is a difficult task to do with wine bloggers who see many wineries per month. This place has it all and we highly recommend you visit. Tell them we sent you!